Given that this week we celebrate the birth of the United States I thought it would be appropriate to focus on one of the characteristics of America that have made it so successful over the last 241 years: Innovation. And when we think about innovation I would expect the first company most people would associate with that magical word would be Apple and Steve Jobs as the master of Apple’s innovation (along with Jony Ive). And this association is particularly strong now with the iPhone has reached its 10 year birthday on June 29th, 2017. The growth Apple has experienced since 2006 (prior to the iPhone’s introduction) is mind boggling. It is really hard to process what this incredible company has accomplished over the past 10 years. 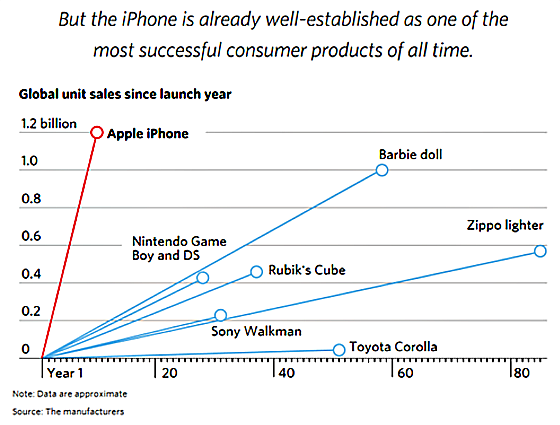 The Wall Street Journal recently had some very interesting graphics depicting Apple’s meteoric growth during this time. This is how the company was positioned in 2006. 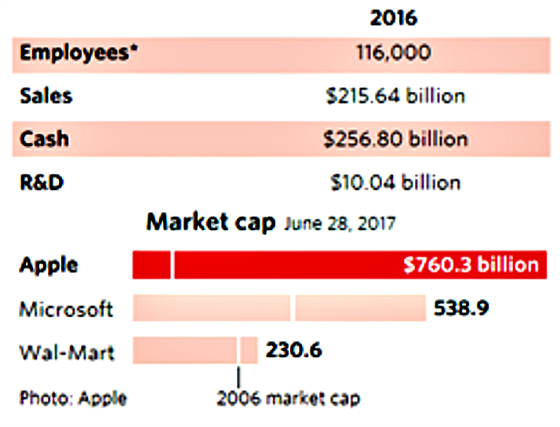 While Apple’s market capitalization had grown to a very respectable $72.9 billion since its darkest days when it was nearly bankrupt in 1997, it was still only 25% of Microsoft’s in 2006. Let’s see how the company looks today 10 years after the introduction of the iPhone. All I can say is wow! 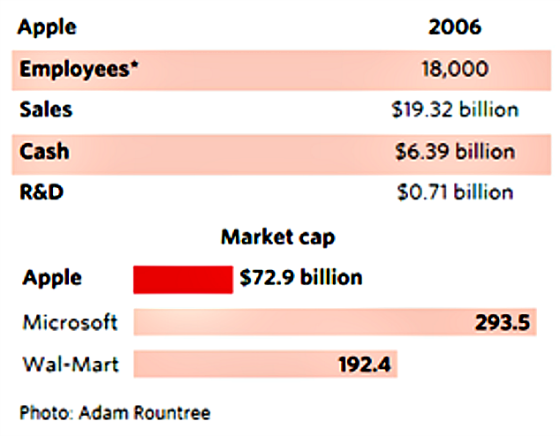 Since 2006 Apple has added nearly 100,000 employees, sales have grown by more than 20 fold, cash has increased by $250 billion, and its market cap has grown by more than 10 fold and now exceeds Microsoft’s. One statistic that is not reflected in these graphics is that cumulative iPhone sales have exceeded $730 billion since it was introduced on June 29th, 2007. Think about that for a second. 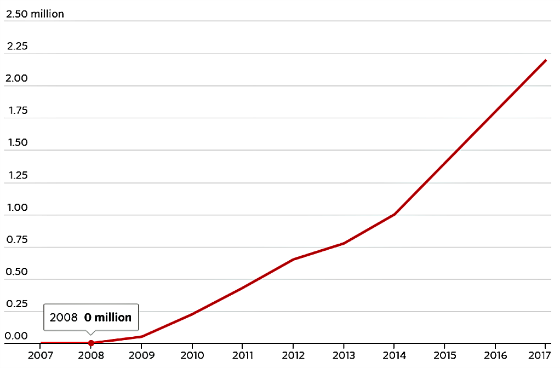 Nearly $1 trillion in cumulative revenues in only 10 years. The following graph puts this success in context and shows how it has been one of the most successful products in history. The following table shows the breakdown of revenues by product type in 2006 and 2016. The company was willing to sacrifice its largest selling product, the iPod so that it could innovate and create a product that generated far greater demand and sold at a much higher price. The much higher price of the iPhone versus iPod and network effect of having a global one billion person customer base allowed the company to monetize not only the iPhone but the associated benefits of the network: apps, service, Apple Pay, and music, just to name the most significant additional sources of revenue. Add to this the most successful concept in retail history in terms of sales per square foot, the Apple Store, and Apple has mastered a multi-channel strategy to reach consumers through its own physical stores, stores owned by others, and online in extraordinarily effective ways. With over 1 billion iPhones in the market, the demand for apps has exploded which in turn has led to a huge increase in the number of apps available as the following graph shows. 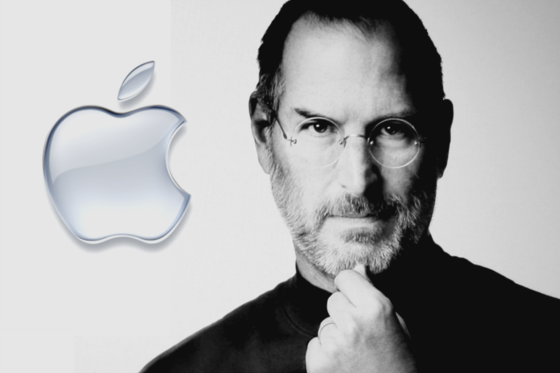 Apple and Steve Jobs have been the modern embodiment of American ingenuity and capitalism.This is not to take anything away from Jeff Bezos, Marc Benioff, Bill Gates, Larry Page and Sergey Brin, Elon Musk, or Larry Ellison, just to name some of the most famous modern innovators and disruptors. Jobs was a force of nature and in the public eye from the outset of the personal technology revolution. We have witnessed his incredible rise, ignominious firing from Apple, his triumphant return, and his leading and implementation of the greatest turnaround in business history. His relentless focus on innovation, building insanely great products, having the confidence in his vision at the expense of using consumer research, and having a relentless focus on quality and service have propelled Apple to the number one global brand and the most valuable company in the world. Did you answer the question the same way that I did? 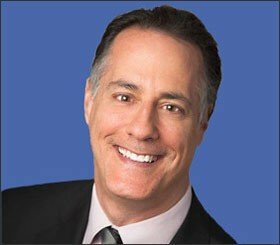 Would you call Apple Computer the master of American innovation? ‹ Fitness Camp Was Life Changing – Now I’m a Believer! You should have given props to John Cougar Mellencamp for the last line!